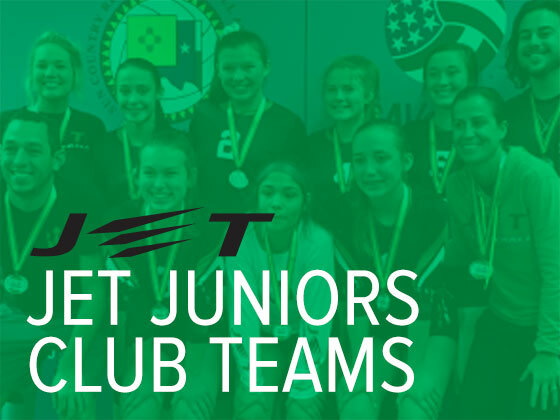 JET Juniors are developmental club teams for 3rd-6th grade athletes. Kids will be evaluated during the PowerBall League and JET Prep/Group Training. There will be NO tryouts, as JET believes tryouts at this age can be discouraging to a player’s development. 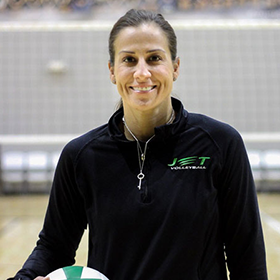 Teams will participate in one or two team practices per week, with JET Director, Jess Evers, overseeing a minimum of one practice per team, per week. The JET Juniors teams will compete in 4 local tournaments. 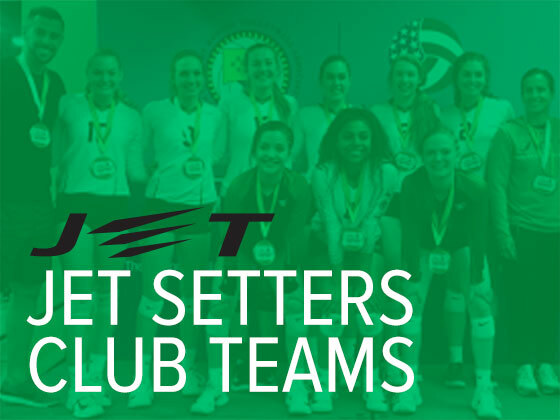 SEMI-TRAVEL: Competitive Club teams for 6th-12th grade athletes who wish to play on pre-formed/independent teams. 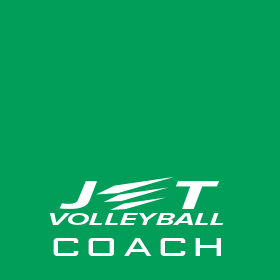 JET offers a trained coach and/or additional players to help round out a successful team. Teams will play in 4-5 local tournaments, 1-2 out of town tournaments. These teams are more focused on developmental needs than National Championships. Estimated expense for a semi-traveling team will range from $1100-1800 depending on selected tournaments, number of practices per week and uniforms. 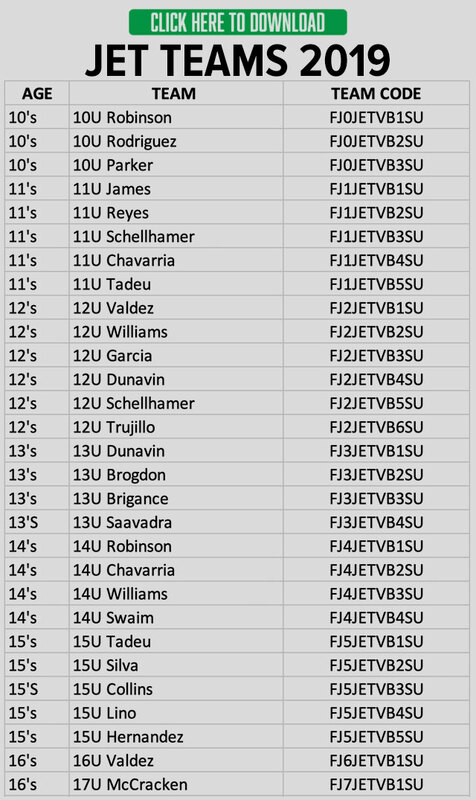 FULL-TRAVEL: Competitive Club teams for 6th-12th grade athletes who wish to play on pre-formed/independent teams. 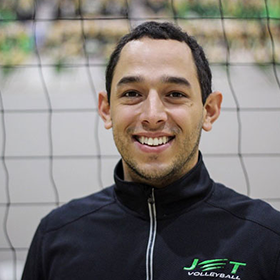 JET offers a trained coach and/or additional players to help round out a successful team. Teams will play in 6-9 local tournaments, 2-6 out of town tournaments (this could include 1-2 National Qualifiers!). These teams are more focused on a full competitive schedule with a possibility of qualifying for Nationals. Estimated expense for a full travel team would be $1800-3000. Important parent meetings for NEW JET Volleyball Club seasons occur each year in September! 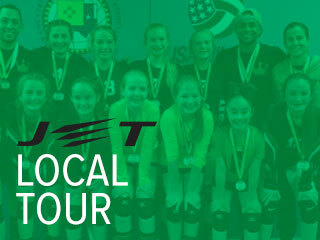 JET Volleyball Club teams play in local tours. 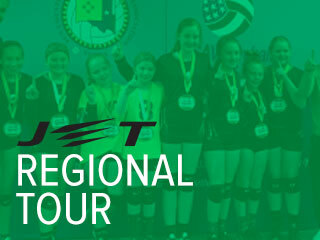 JET Volleyball Club teams play in regional tours. 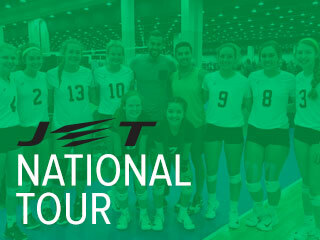 JET Volleyball Club teams play in national tours. Online registration for JET Volleyball Club members is now managed through Sports Engine. Sports Engine is a website that will enable JET to efficiently manage club members registrations, teams and tournaments! 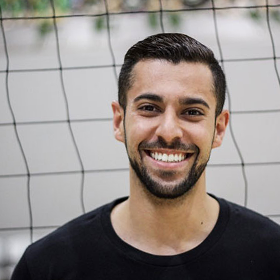 Do you need more information about JET Volleyball Training? Click the registration link below to be taken to the Sports Engine registration page! Please create a login to register for JET Volleyball Club! If you have any questions please contact Jess Evers! 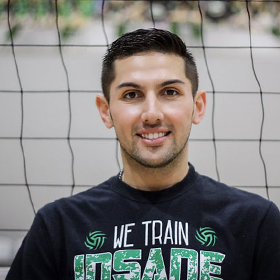 JET Volleyball full-time trainer since 2014. 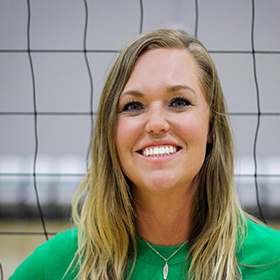 JET Volleyball full-time trainer since 2013. 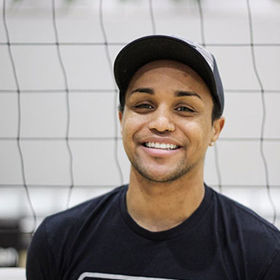 JET Volleyball full-time trainer since 2012. JET Volleyball trainer since 2015. 1 State Championship for Amarillo H.S. 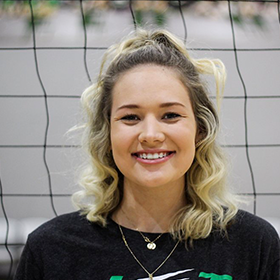 JET Volleyball Club is a Non-Profit business. We have a Board of Directors which consist of a President, Vice-President, Secretary, Treasurer, and player parent as member at large.